The Independent Corrupt Practices and other Related Offences Commission (ICPC) has seized 61 houses as well as 45 plots of land from officials of the Nigerian Security and Civil Defence Corps. 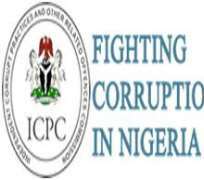 Chairman of ICPC, Mr. Ekpo Nta, who announced the development on Thursday said that the 61 houses were seized from a single official. According to Nta, the seized properties are scattered in various locations within the Federal Capital Territory. The chairman of the anti-graft agency who appeared before an Ad-Hoc Committee of the House of Representatives investigating alleged land-swap allocations and racketeering in the FCT on Thursday explained that the agency began an investigation following a complaint by the Commandant-General of the NSCDC, Dr. Ade Abolurin, that his men were involved in dubious land deals. Nta said, 'Impressed by the action of the Commandant-General of the Corps by reporting his own officials for alleged wrong doings and demanding for an independent investigation while other heads of agencies or organisations will be covering up if it were their own organisations, I commenced an immediate investigation by directing the Special Squad I set up on land matters to swing into action. 'The team even started with some officers whom the CG came with. 'We made findings; we made efforts to get additional information from other government agencies and banks, which assisted us immensely in the course of our investigations. 'In the course of the investigation, we established that six different companies were used in the scam, we froze the bank accounts of certain officers and the companies used. 'We seized several properties, including 61 houses, 45 plots of land and a duplex traced to some of the officers. Meanwhile, Speaker of the House of Representatives, Aminu Tambuwal, on Thursday lamented that the various anti-corruption agencies in the country were helpless in the fight against corruption. Tambuwal said both the Economic and Financial Crimes Commission and the ICPC had not been able to curb the rising cases of official corruption and embezzlement of public funds. He spoke at the inauguration of the Nigerian Association of Public Accounts Committees in Abuja. Tambuwal was represented at the event by the House Deputy Minority Whip, Garba Datti.